Due to the way my subirrigated container is designed to function, there are no drainage holes on the bottom of the container. I had been occasionally trying to sow some winter crops in it back in the beginning of December. When #storm2k14 hit in late Decemeber of last year, that thing turned into a rice patty, killing off anything that actually germinated (in my case, some beets). 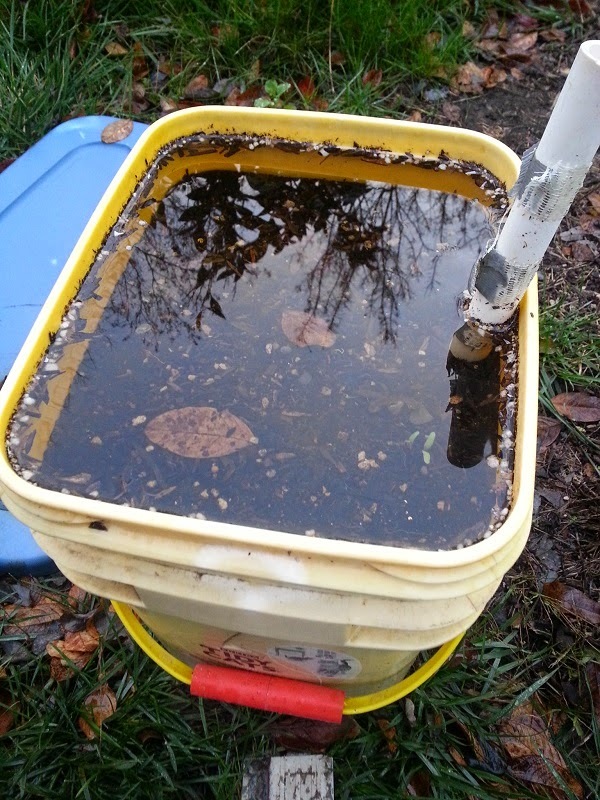 Now that the rain has stopped, I was able to dump out most of the water to make the container usable again. There appears to be some moss or something growing on the surface, but it's not an issue at the moment. why not make another one of these? My next attempt was to try to get something to germinate indoors, where I usually have decent success. 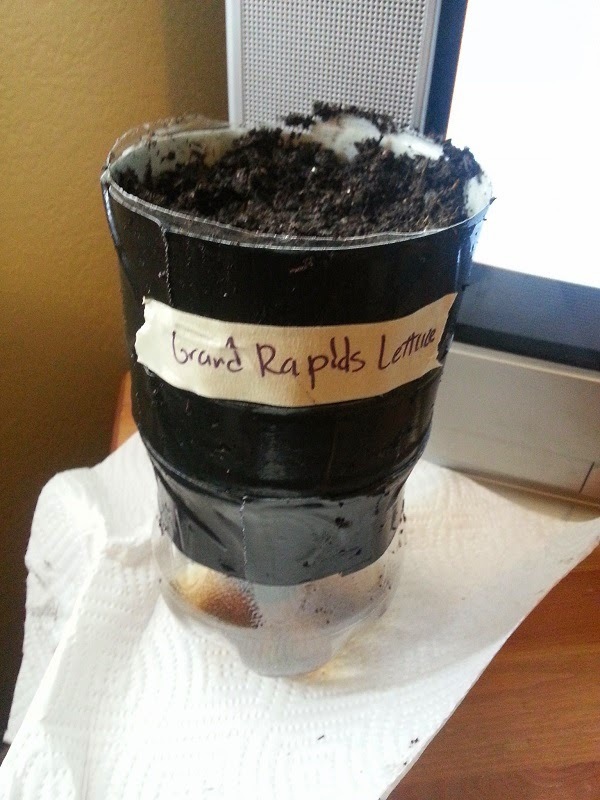 I made a planter out of a 2 liter bottle and planted some lettuce seeds. I got 1 to germinate, but I didn't notice it before it started becoming too leggy. Without sufficient sunlight and wind, it collapsed and died after a few days. 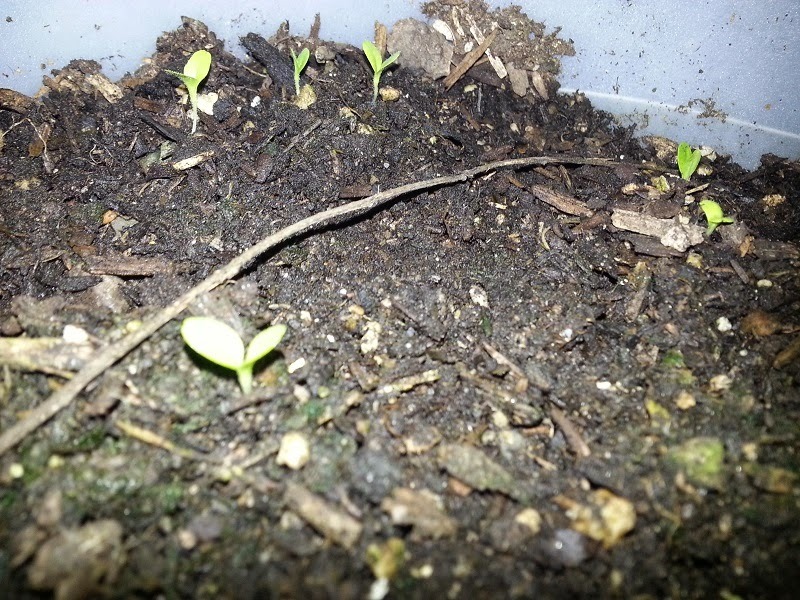 Finally, after that failure, I planted some lettuce seeds in my outside containers within the last two weeks to try to get something growing again. 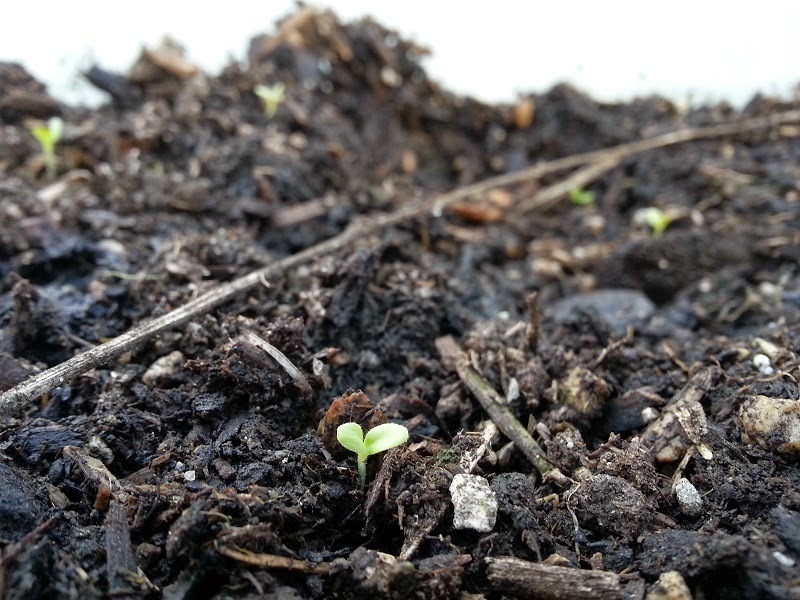 With evening temperatures rising back above 45F this week, I have noticed many more seedlings popping up. None have started to grow crazy, but it hasn't even been a week yet. Here's to hoping they stay alive and produce me delicious salads.